Keen Software House welcomes all feedback from our community. Therefore, we have decided to launch a new support portal, where you can find all information and support for all our games at one place. 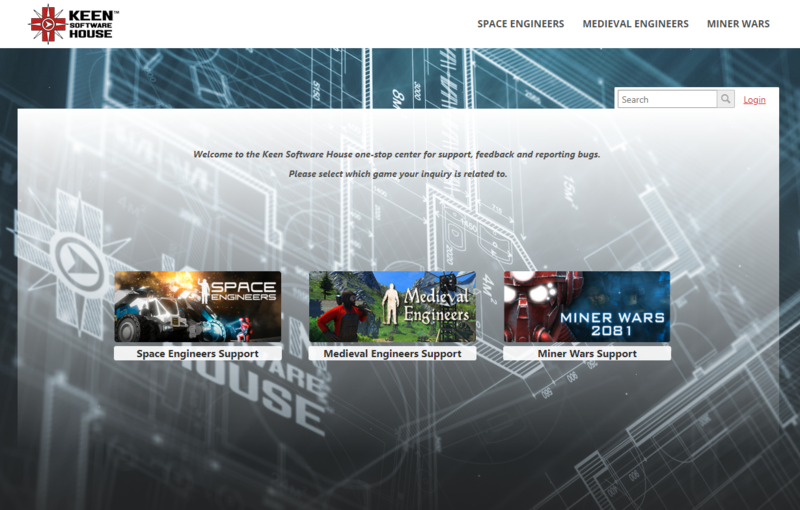 The site is the one-stop center for support, feedback and bug reporting for all our games. You need to select which game your inquiry is related to. Each game has its own support and reporting structure where you can submit bugs, ideas or simply request help. You can also browse through bugs and ideas submitted by other users. You can register directly at the page by clicking on the register link which is available in the login section at the top right side. However, you don’t need to be registered to submit a help ticket or browse through the topics. The support page is simple and easy to use. You can submit bugs and ideas only if you are logged in. Once you are logged in, you fill in a simple form and click submit. You can add files, pictures, or screenshots to better describe your idea or problem. After creating a topic our team is notified. You can submit inquiries requesting help related to the game. This section should be used for technical support, general issues, or questions about the game. We encourage you to attach log files for technical support issues. See How to Find Log Files for information about locating log files. You are automatically notified when there is a new comment or changed status of your ticket. You can always review the status of tickets by clicking on My Tickets in the menu at the top right corner under your name. Email notifications are enabled for the entire site. You will receive notifications for all of your tickets, ideas, and voted topics, no matter which game it is related to. Voting helps to prioritize users’ ideas and bugs in the topic section. By using the simple voting system, you can increase the rank of particular submission. You can vote for each ticket (idea and bug) only once. However, you can leave your comments for any submitted idea or bug. 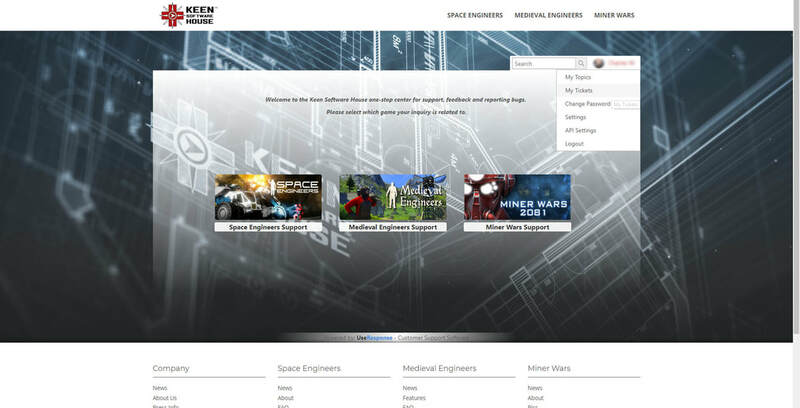 We plan to archive the old Space Engineers Feedback site. It’s currently in read only mode. However, we are keeping all ideas and feedback that has been submitted there as a backlog for our future reference. The feedback site has helped us to understand your wishes and requirements better. We would like to thanks all who submitted their feedback via this portal. We hope that you will like our support site and we look forward to hearing from you.